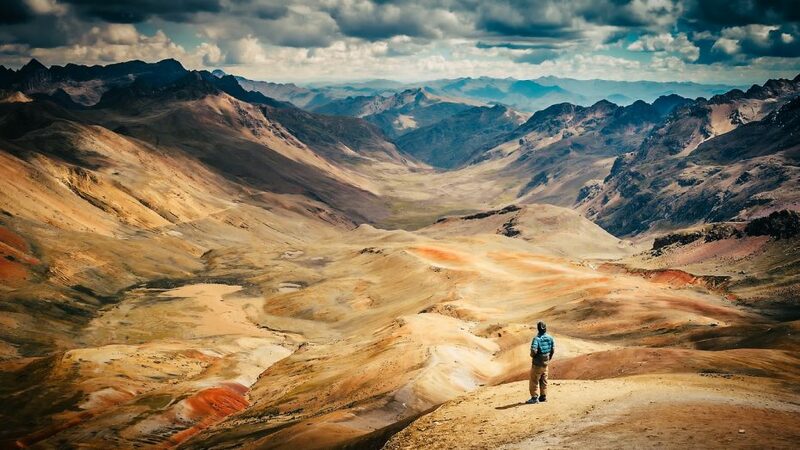 A land of ancient civilizations and rich in culture, Perú is home to the Andean Cordilleras and countless mountains. Often considered the best country for food and drink in South America, Perú is sure to delight every type of traveler. Your unique blend of tropical and mountainous landscapes makes for a magical combination. Your countless turquoise lagoons, giant snow-capped mountains, raging rivers, ancient villages, and deep canyons have captured the imagination of scores of travelers. I still dream of wandering beneath your bright blue skies surrounded by the imposing, colossal mountains of the Andes, and marching through the humid heat of the Amazon and endless deserts. You awe even the most seasoned traveler with the wildness of these places. 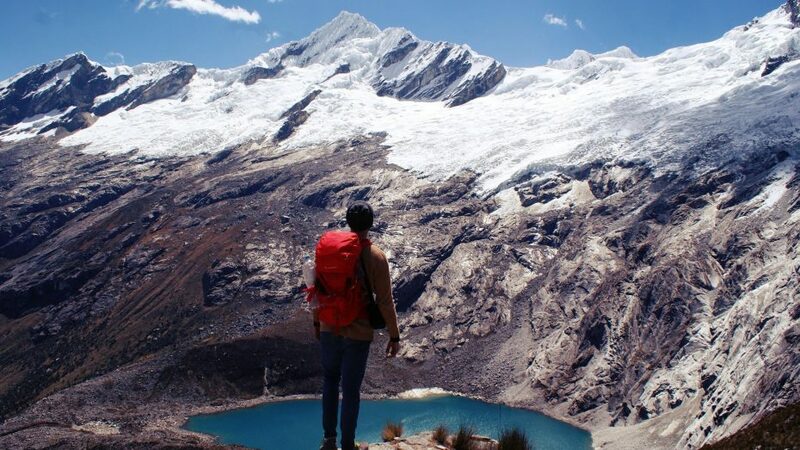 From hiking the Huayhuash to trekking the Santa Cruz trail, and from climbing Pisco to stepping foot on Huascaran, there’s not a bad adventure to be had. Your countless ancient archaeological sites, such as the stunning Choquequirao and famous Machu Picchu, offer thrilling stories from long ago. Exploring one of the deepest Canyons in the world, sandboarding on the world’s highest sand dunes, and canoeing in the Amazon are making the list of ‘must experience’ options, each more thrilling than the last. You’re world-renowned gastronomy is just one of the many reasons I find myself returning to your welcoming shores. It’s not uncommon to find visitors devouring platters of fresh-ceviche, deliciously-tender lomo saltado, and endless varieties of exotic, tropical fruits. All served with a tart and delicious pisco sour, of course. Culture abounds and awes in your many varied regions, and as the oldest civilization in the Americas, there is much to celebrate. Folklore, music, art and ancient traditions are an integral part of your beauty. Around the world, your textiles and stunningly-beautiful handicrafts are valued works of art, and rightly so. Perú, everytime I visit it’s as if I’m discovering a whole new world of adventures, experiences, and sensations. You’ve surprised and delighted, challenged and awed, and I always want to experience more. Truly, you are a place like no other. A snapshot of Project Cordillera’s adventures in Perú. Before setting out on your adventure, here are some FAQs about how to prepare and what to expect. Commercial flights to Lima, Perú’s capital, are available from most major hub airports in North America, Europe and other South American countries. From Europe, it’s most affordable to travel through London, Madrid, Paris and Frankfurt. From North America, it’s easiest to travel via New York, Atlanta, Miami and other hub cities. Huaraz is a 6 to 8 hour bus ride from Lima. It’s a relatively long but really fascinating journey, which includes the huge sand dunes of the coast desert and the changing mountain scenery. Huaraz does have a small airport, and there are flights once every couple of days to Lima. If you would prefer to fly this journey, let us know and we can help arrange this. 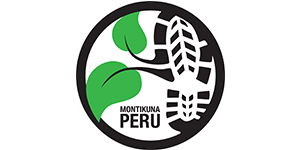 Many of our expeditions can include airport pickup, accommodation in Lima and transport from Lima to Huaraz. 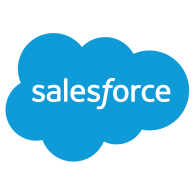 Alternatively, we can help you to arrange this independently. Cusco is a 24 hour bus journey from Lima. One option to break up this journey is to stop off in Arequipa. Alternatively, it is a short flight from Lima to Cusco. Most of our expeditions in the Cusco area do not include transport from Lima, but rather begin in Cusco. However, we will happily assist you in organising you travel, or simply point you in the right direction. As with most international travel, your passport must be current and valid for at least 6 months from the date of your departure. If you are coming from the US, the UK or Canada, you do not need a pre-arranged visa. If you are coming from another EU state, such as France, Germany, etc., please check with the appropriate authority in your country prior to booking your tickets. Most nationalities are lawfully allowed to stay in Perú for 180 days. It’s important to note that if you intend to stay longer than 30 days it is recommended that you make this known to Peruvian customs officers when you arrive in the country. If you do not say anything, they may stamp your passport with only 30 days and you will be liable to pay a fine (for every day overspent) when you go to leave the country. Traveling with Money, ATMs, etc. Traveling with large amounts of cash in Perú and Colombia is not recommended. In most capital and provincial cities, there are numerous ATM machines which accept international debit/credit cards, VISA and Mastercard. Most restaurants and larger retailers will also allow you to pay with a credit or debit card. Try to break large bills in supermarkets and at large retailers as most smaller stores and restaurants will not have change for big bills. 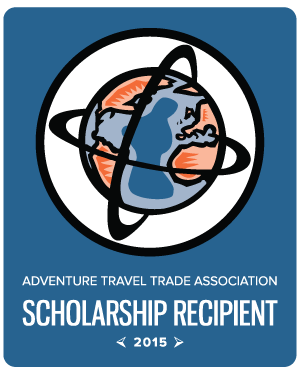 Most of the expeditions promoted on our site include all expenses while in the wilderness, however, it is always a good idea to have a some cash on you, and when in town responsibility for your meals and other costs is almost always yours. Perú uses the Peruvian Nuevo Sol usually just called the “sol”. As of June 2018, the exchange rates were as follows: 3.2 Soles to every US dollar, 3.7 to every Euro, and 4.3 to every UK Pound. Expenses will vary greatly by city, and it is important to remember that most of your expenses while on your expedition with Project Cordillera are covered. For a backpacking trip, we suggest budgeting at least $35-50 USD per day. However, it is possible to travel on much less (say $20 per day) if you need to, and, of course, much more if you want to. Be sure to research the cost of your desired accommodations, additional tours, bus tickets and historical site entrance fees before leaving. We recommend participants on all high altitude climbs, treks and courses have both personal travel and high mountain insurance. Please make sure you print out your insurance documents or bring necessary membership cards with you. It is also a good idea to research your coverage fully before leaving so you know what additional paperwork or actions might be required of you. Travel insurance is widely available and easy to obtain. 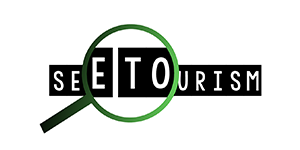 This will cover you in any event related to your travel to and from Perú or Colombia as well as your entry into the mountains. In the UK, we recommend The Post Office but there are many other options, including World Nomads and Allianz. 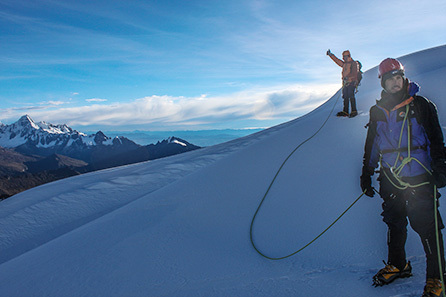 Insurance for climbing and trekking at high altitudes can be acquired from a number of mountaineering councils and other similar bodies. This insurance covers most mountaineering, but some restrictions may apply at elevations higher than 6,000 meters (19,680 feet), so check your insurance carefully. 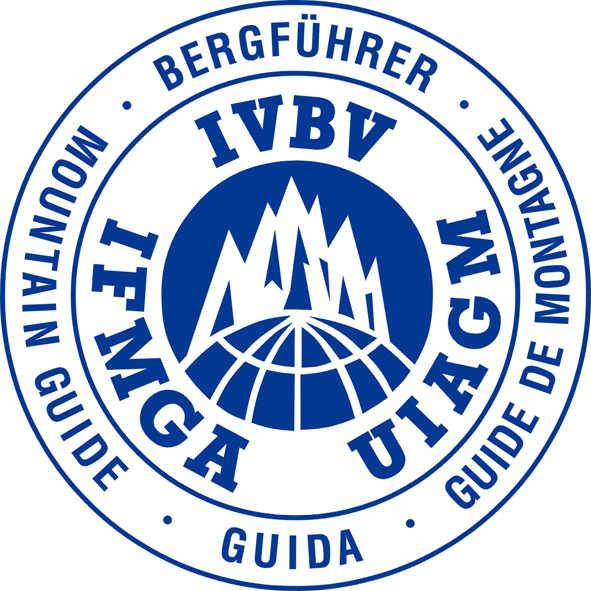 Bodies offering this insurance include the Austrian Alpine Club UK, British Mountaineering Council , Dogtag and others. Please note that you must bring physical evidence of your insurance (such as a membership card or print out) with you on your expedition. Project Cordillera promotes local guides and operators, both of whom have their own liability and insurance. Project Cordillera highly recommends consulting the government body that handles international travel before traveling overseas. It is your responsibility to understand the risks and potential dangers associated with travel to these places. For citizens of the US, consult the State Department website, and for citizens of the UK, consult the Foreign Office website. Staying healthy in Perú is usually as easy as following common sense. It is recommended that you only drink bottled water, that you are vigilant as to where and what you eat and that you wash your hands very frequently. Most expeditions require a completed medical form, but please make us aware if you have specific health conditions or concerns. You should check with your doctor prior to leaving for Perú. It is also recommended that you find out as much as possible from the appropriate authority in your country. In the UK, this is the National Travel Health Network and Centre. Please note that most of our expeditions are at high altitude, therefore eliminating many of the infectious diseases found lower down in the Amazon jungle unless you will also be traveling there. Despite this, it is still recommended that you bring mosquito repellent and remain mindful of other health related issues. There are many people who travel in Perú and Colombia without Spanish skills and get by, but it will only enhance your experience in the country to understand a few Spanish words and try to communicate with the local people. You can expect English speaking guides and staff when finding and organizing your adventure through Project Cordillera. There are dozens of languages in Perú. Spanish is by far the most widely spoken, with Quechua still spoken high in the Andes and Aymara spoken in the Amazon Rainforest. Many guides speak Quechua too, and we can also arrange interpreters and translators when necessary. These ecosystems are some of our favorite places on Earth, however, they are also harsh environments that pose very real and dangerous threats to your health and safety. While on an expedition it is incredibly important to follow the directions and suggestions of your experienced guide as most have spent their whole lives navigating these precious ecosystems. The effects of altitude on the body and mind, differ greatly from individual to individual, and are often extremely difficult to predict. The best suggestions about altitude are to always acclimatize slowly and fully prior to ascending higher, to consider the body’s hydration paramount, and to be very aware of what the symptoms of altitude sickness are, both in relation to high-altitude cerebral edema (HACE) and high-altitude pulmonary edema (HAPE). To learn more, please get in touch and we’ll recommend some useful resources for better understanding of this important subject. Generally, the seasons in Perú are as follows: the cooler, dryer winter runs from May to September, while the hot, wet summer runs from December to March. This affects different areas of the country in different ways. Be sure to research the area you will be visiting to have a better idea of the weather you can expect while there. 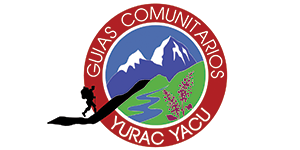 The dry season in Huaraz takes place between May and September. Mountaineering outside of these months is not recommended. Trekking can continue to take place year round, however, between December and March, you can expect rainy afternoons and much more cloud cover. From May to September the climate is surprisingly predictable. 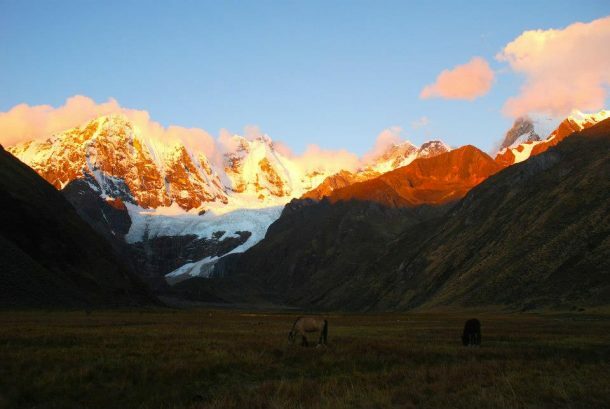 In the Cordillera Blanca and Huayhuash, you can expect temperatures between about 2ºC (36ºF) at night and 20ºC (60ºF) during the day, with very occasional rain. Being at relatively high altitude, however, the wind can make it feel much cooler after dark and the midday sun is very strong. In the mountains and at higher altitude, temperatures – both hot and cold – can be extreme. The dry season in the Cusco area is from mid-April to October. During this time the days are hot and dry and the nights are cold and dry, with temperatures just above freezing. The high season is from June to August which coincides with the dry season. November to mid-April is considered the wet season with the most rain accumulating in January and February. You can expect afternoon rain storms and mild temperatures. So, don’t forget your rain jacket at home! Expedition climbs and treks usually feature groups of between two and six individuals; guide to client ratios depend upon the specifics of the trip, including the difficulty and the complexity of expeditions. However, guide to client ratios for high mountaineering expeditions are often 1:2. We often arrange expeditions with a ratio of 1:1 as well, and this very much depends on the objectives of the expedition. Alpine courses usually have between four to eight students – although sometimes this can be more. Please note that numbers depend on demand and capacity, therefore they are difficult to predict until nearer the expedition start date. Customized expeditions can be arranged for individuals as well as for larger group bookings. The guides, instructors and operators promoted by Project Cordillera have undergone extensive skills and emergency training, and have been hired for their impeccable safety records and attention to your well-being. 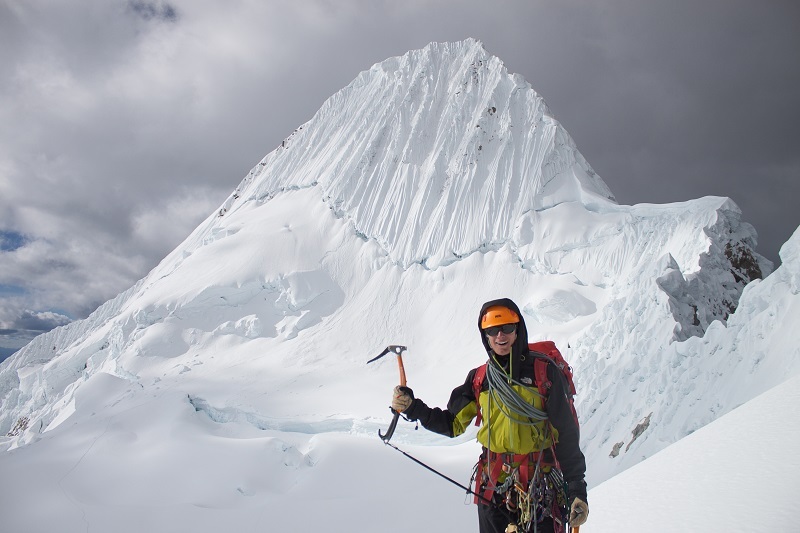 They will act conservatively in the interest of safety over the desire to get to the summit. As experienced guides, they will never take unnecessary risks in the high mountains. As passionate guides and lovers of the mountains, they will work with clients to problem-solve when attempting to successfully reach each objective, including summits. Additionally, your willingness to cooperate in these situations is paramount to the success of your expedition. Please respect the decisions of your guides while under their responsibility. In general, Perú is a stable and safe place for foreigners to travel. As a foreign traveler, however, you may attract attention. You should be alert at all times, watch your luggage and keep your valuable items (cameras, wallets, phones, etc.) on your person and be as discreet as possible. You don’t want to wander around alone at night, and make sure to keep your important documents, cards, and cash with you or locked up in a secure place. Like anywhere in the world, it pays to be vigilant and streetwise, and to not make careless decisions – especially if you are on your own or at night. For more up to date information on travel safety, consult your country’s government travel website: in the US, The State Department, and in the UK, the Foreign & Commonwealth Office. By and large, the people in Perú are warm and friendly, and if you are culturally sensitive and interact with empathy to those you meet, you will have friends wherever you go. When traveling in remote high mountain areas, bear in mind that you are guests in the ancestral homelands of communities who have been there for thousands of years. People in the Andes are usually remarkably welcoming as long as they are given respect and met at an equal level. 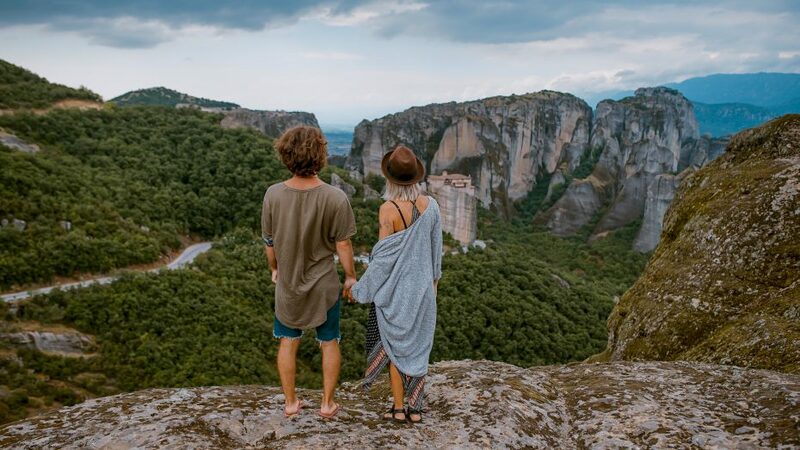 Both male and female travelers should be considerate of how they dress, including being mindful to not appear immodestly. We employ porters who are given a fair wage and are highly respected members of our expeditions/courses. Usually they are employed for straightforward “access” sections of our expeditions. We aim to respect dignity and human rights with all those we work with. Although we will have pack animals along on some of our activities, you can expect to be carrying a 20 to 30 kilogram (44 to 66 pound) pack during our treks and climbs. We use donkeys and/or llamas to transport all other gear and food. There is a long history of working animals in the Andes and all our partners use pack animals with the utmost respect and care.